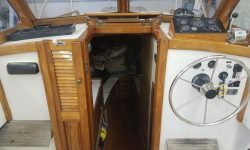 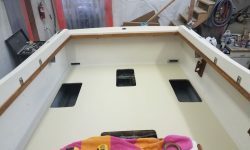 I felt comfortable now doing some work while walking on the cockpit sole (stocking feet only), so I got to work finishing up installing the rest of the varnished trim, including the companionway doors, side panels, and other trim pieces, along with the forward bow for the bimini top and whatever remaining miscellany there was. 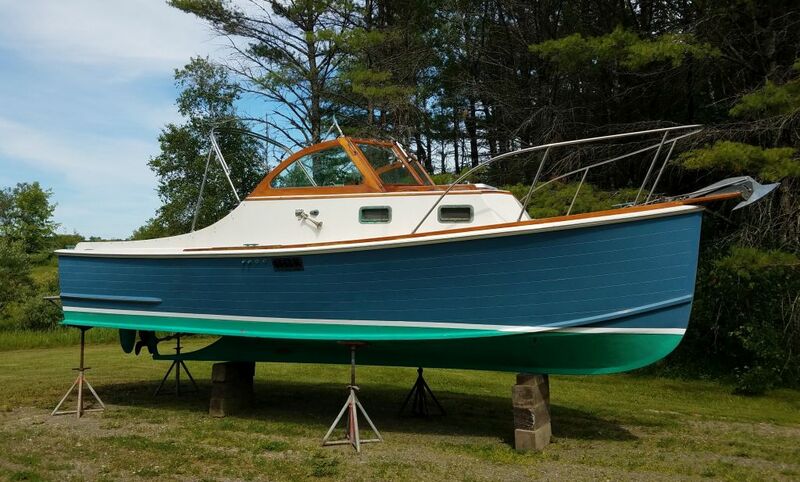 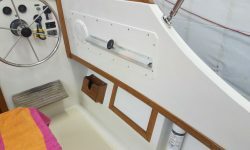 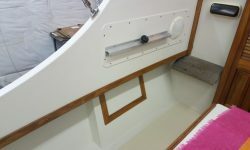 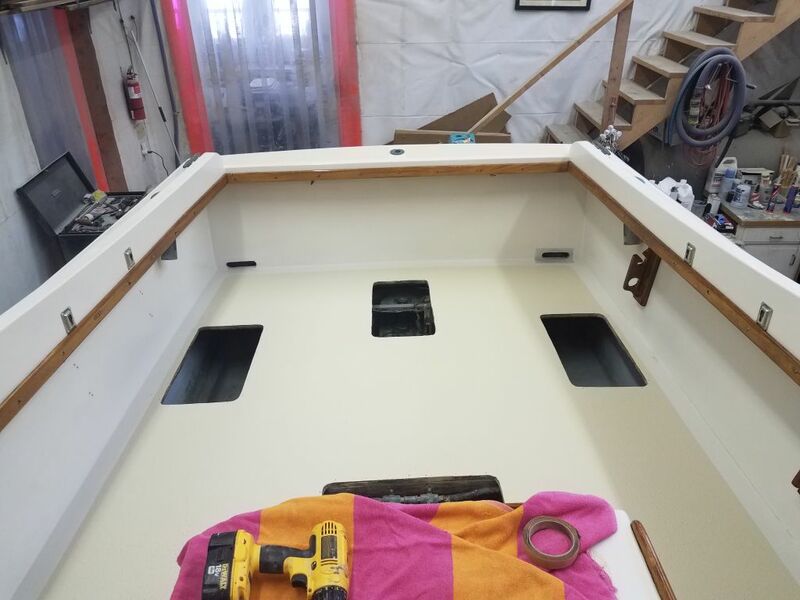 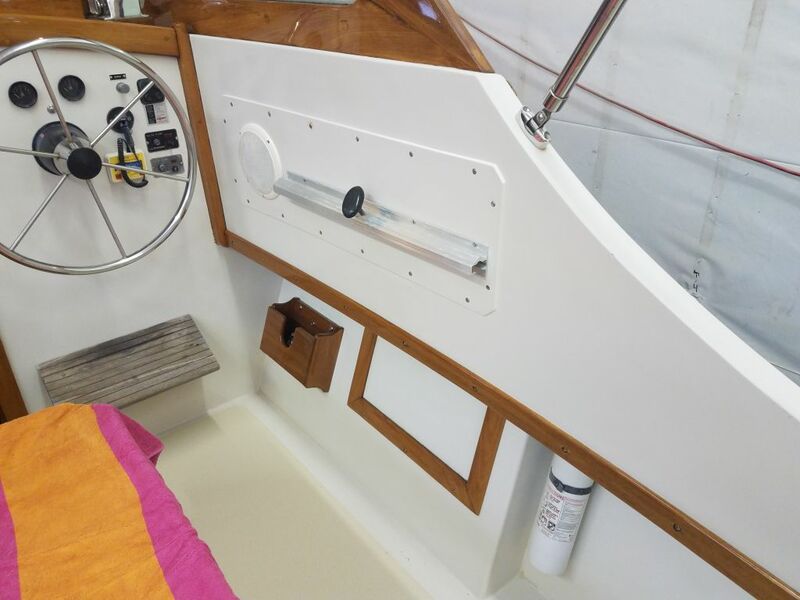 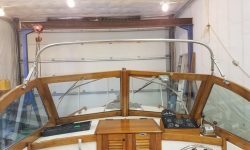 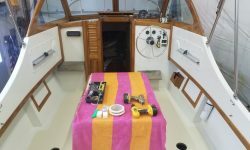 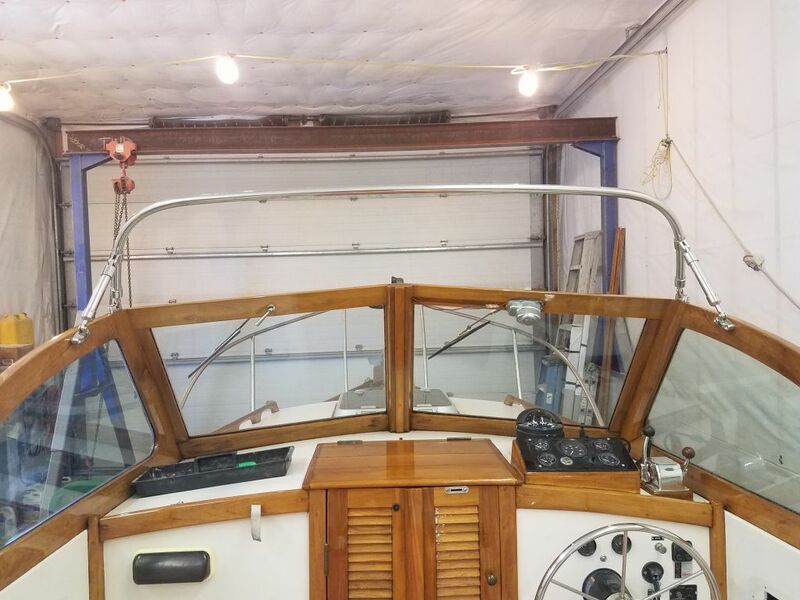 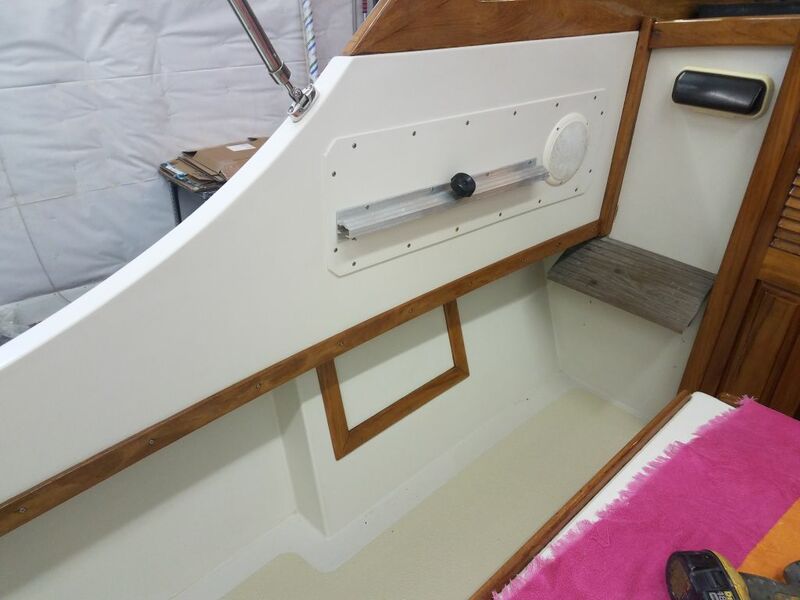 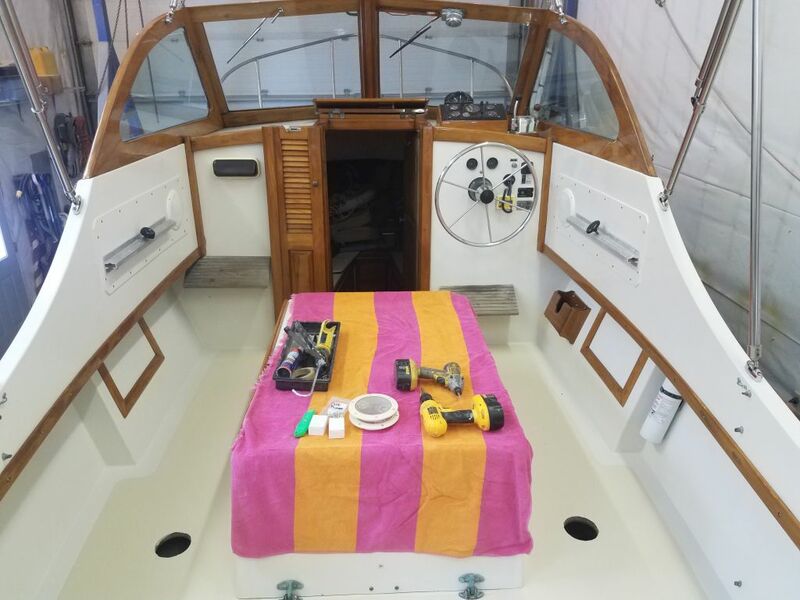 I really wanted to install the four new deck hatches, pretty much the last item on my list, but I just didn’t think the decks were quite ready for the final installation with sealant and required masking and cleanup steps. 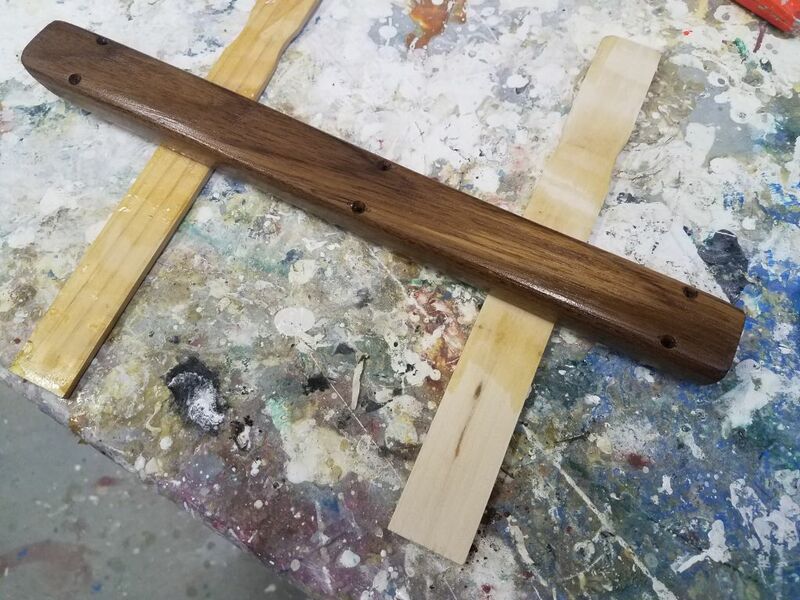 Reluctantly, though not unexpectedly, I decided to postpone it till after the weekend, which would give the new paint a lot of additional cure time. 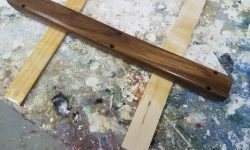 The paint was dry and harder than the day before, but full cure takes time and I didn’t want to risk damage. 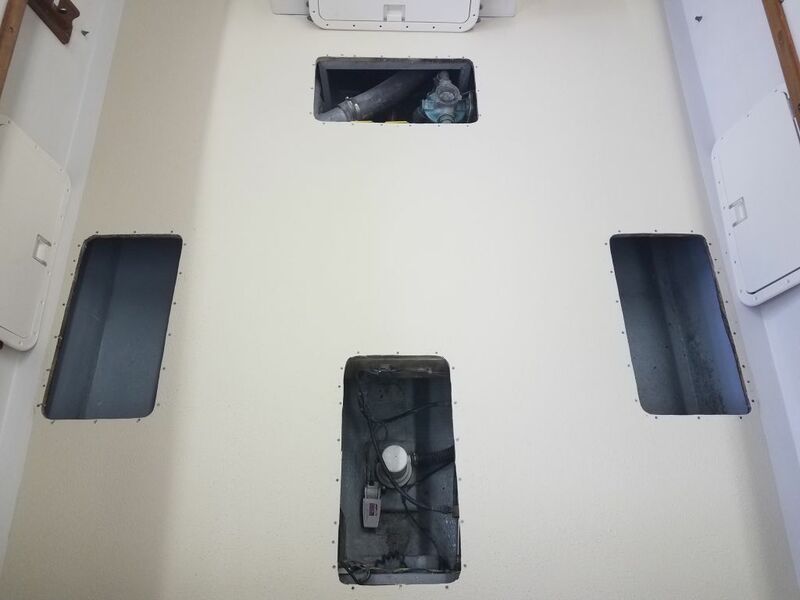 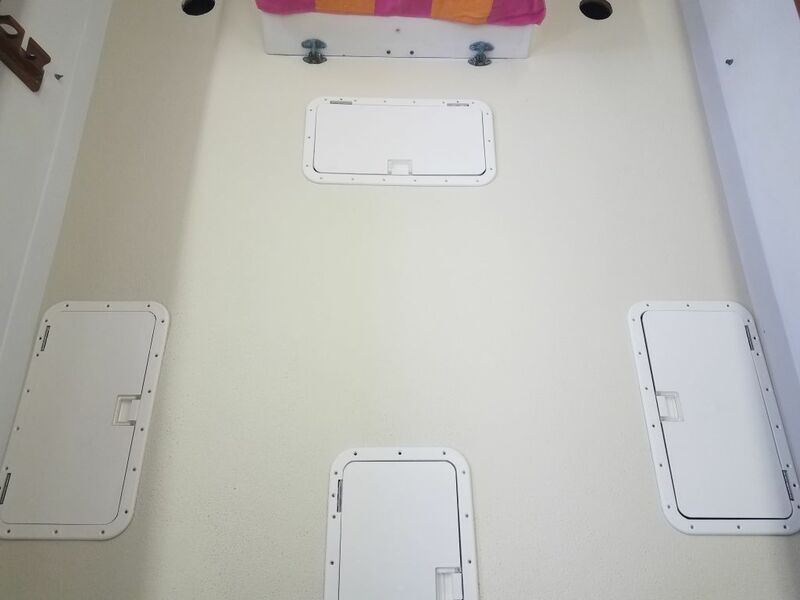 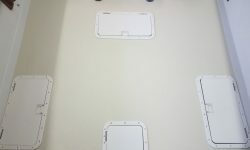 I did lay out the hatches and double-check the fastener locations, which lined up with the originals, and prepared each screw hole with a little countersink at the top edge in my usual way. 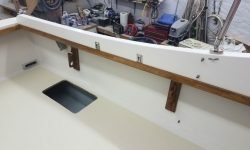 Then, I set the hatches aside to await the beginning of next week, when I could wrap up the installation and also this project. 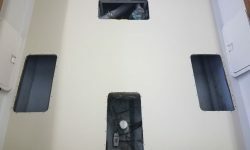 One little detail remained. 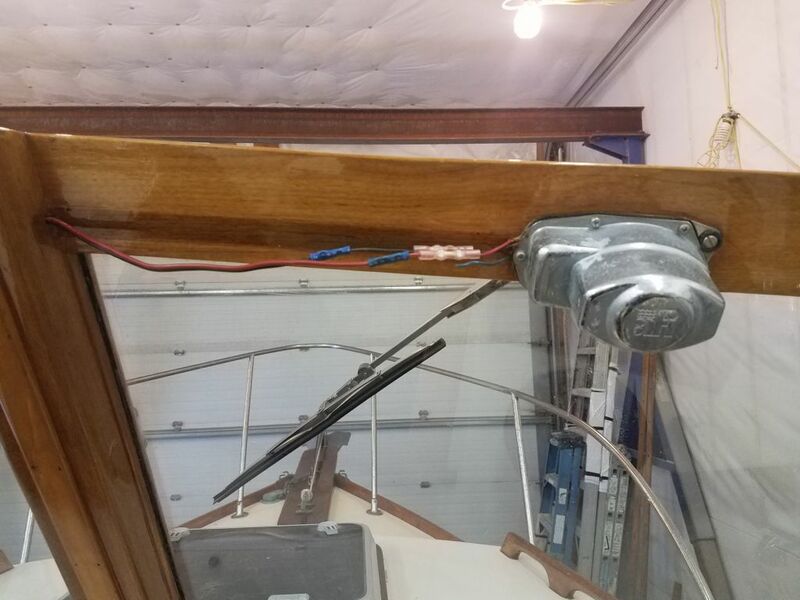 When I removed the windshield wiper motor (erroneously, as it turned out), I’d also removed the little trim piece hiding the wiring, and while I could have re-used it if I’d had to, it had suffered a little damage, and it was hard to remove the tiny nails without causing even greater damage. 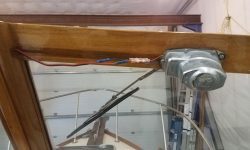 So I decided to build a new one, which I did. 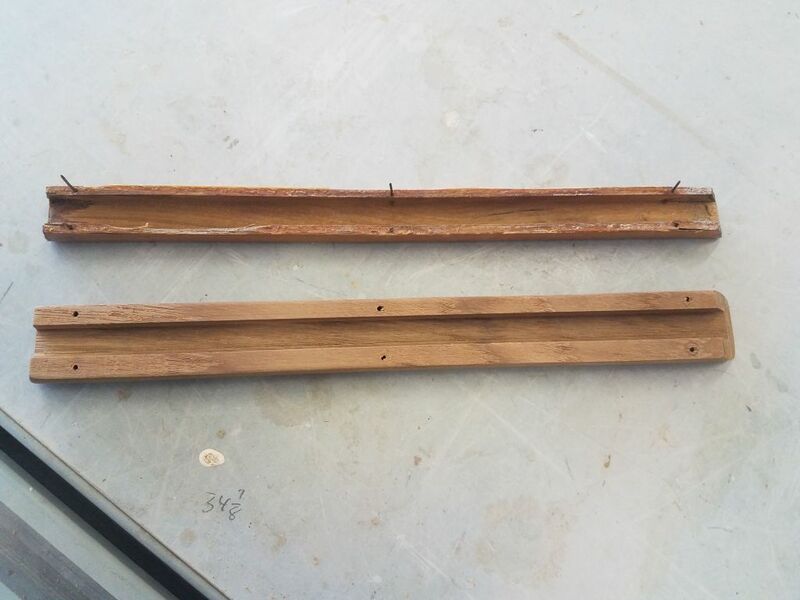 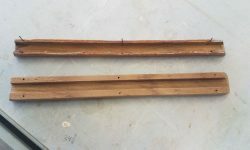 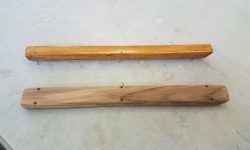 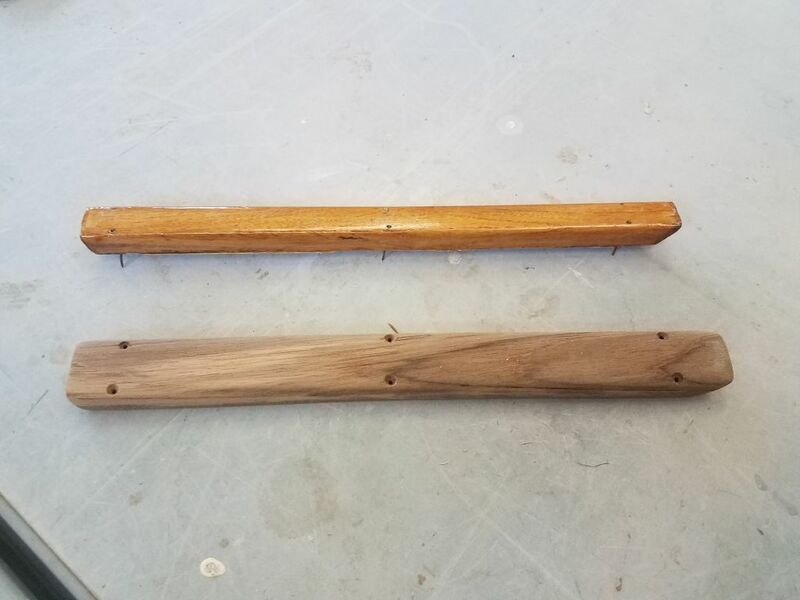 I made it a bit larger in width so there would be enough wood there to accept screws, rather than nails, to secure it, making it removable down the line. 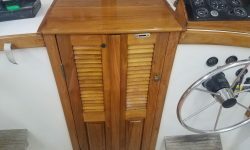 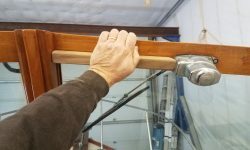 It was just a simple piece with a dado in the back to accept the wiring, cut to angles at the ends to match the original. 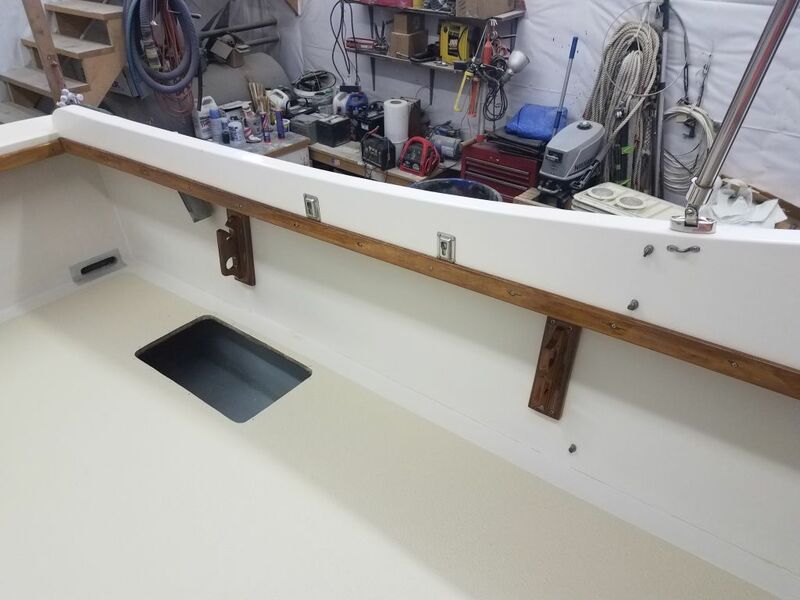 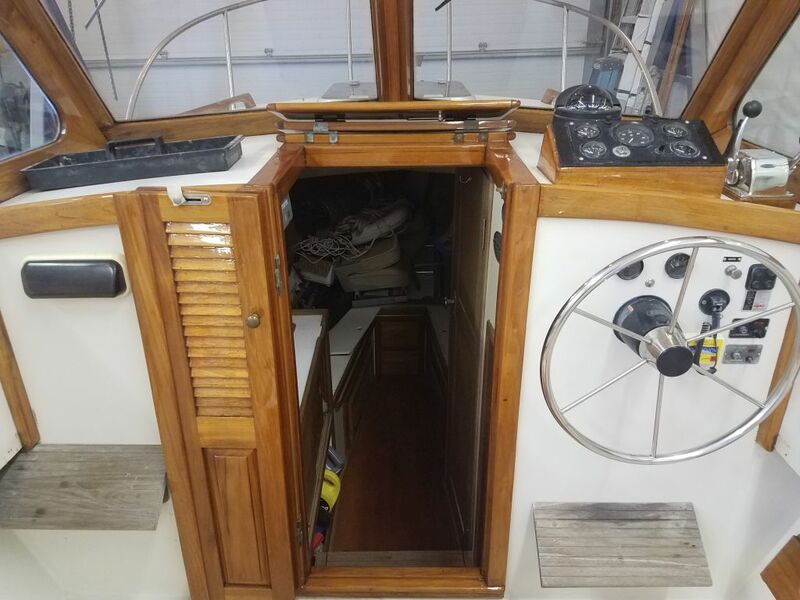 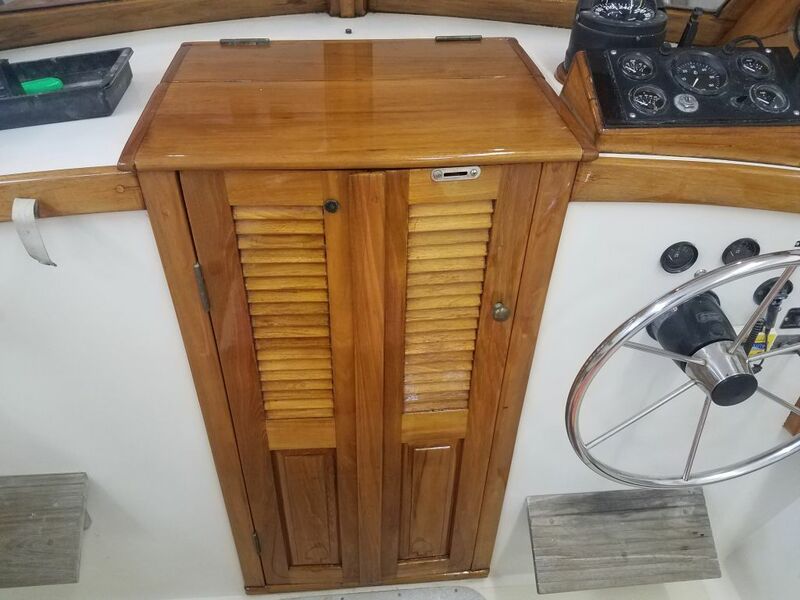 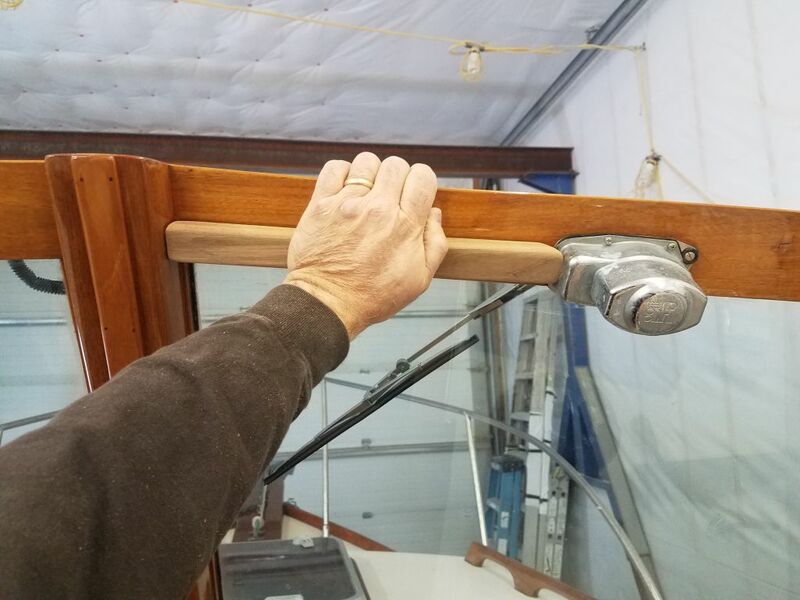 Once I’d completed the milling and screw holes, and sanded it smooth, I applied the first of several coats of varnish that I’d do before installing it on the boat (which probably wouldn’t happen till spring, or at least not till the boat was back outdoors).